Our highest priorities are safety and delicious taste. 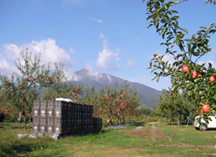 We cooperate with producers and production areas throughout Japan in efforts to develop agricultural products that are matched directly to consumer needs. Besides pursuing active development of fruits with unprecedented good taste and vegetables from identifiable sources, we engage in wide-ranging information services, including development of in-store sales promotion materials and provision of successful planning examples, in support of everything from production to distribution and sales of domestic fruits and vegetables. Farmind supplies a diverse array of fruits and vegetables under its original Manomi ("truly genuine") brand, which combines and leverages our expert functions and services to deliver perfectly ripened fruits and exceptionally rare vegetables, for example. 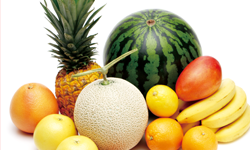 Farmind draws on experience and know-how cultivated on the actual site to provide consultation concerning the production and sales of fruits and vegetables. Rather than sharing conclusions reached in an office, we gather all our powers to conduct consulting with practical, effective content. Rather than simply developing and marketing new fertilizers, for example, we conscientiously compare and verify their potential effects on growers and other prospective customers. In our product development as well, we employ our unique brand development know-how to support multifaceted development of agricultural product brands.